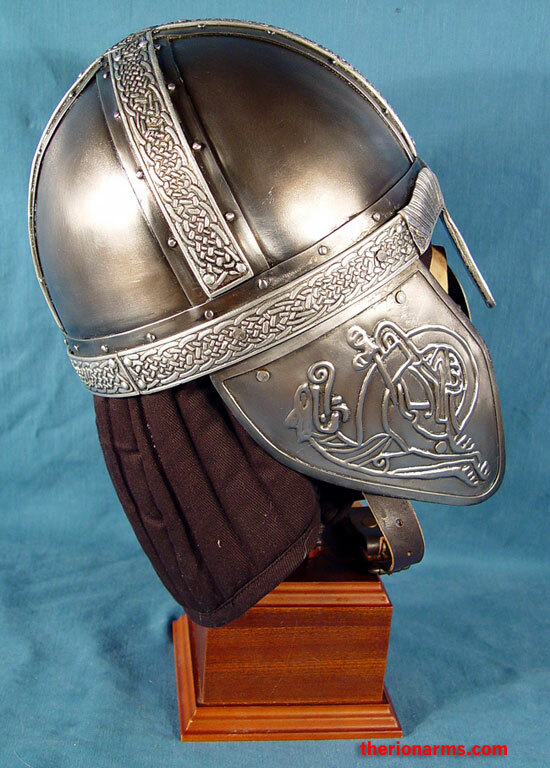 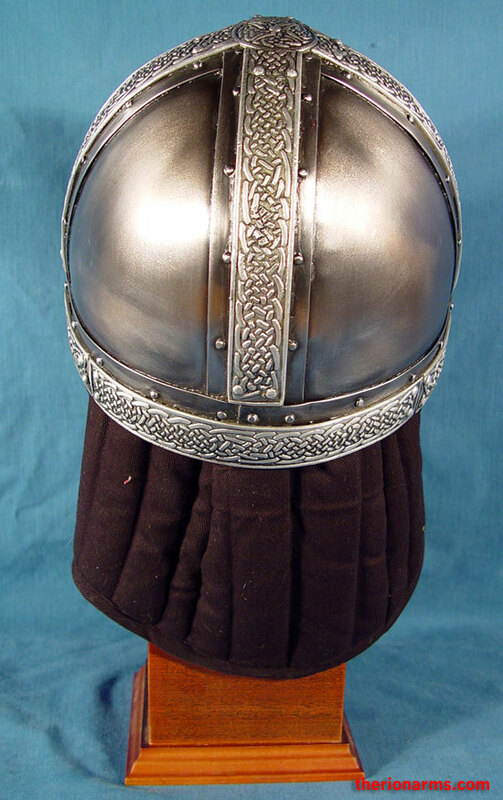 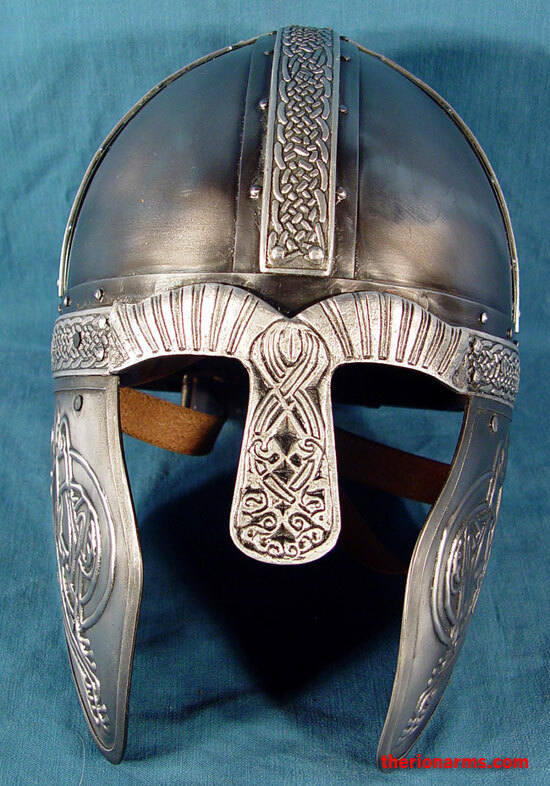 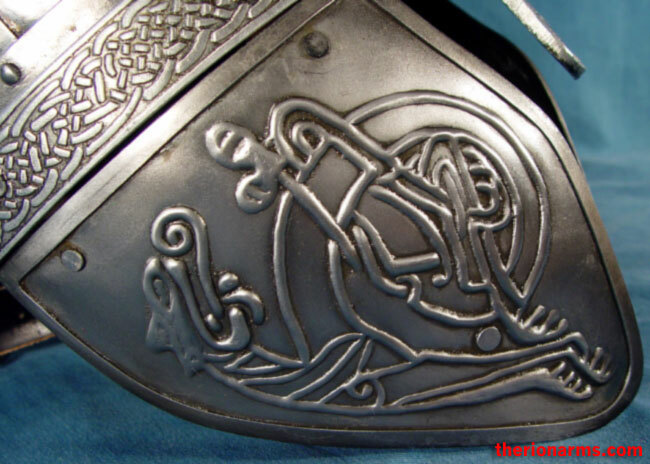 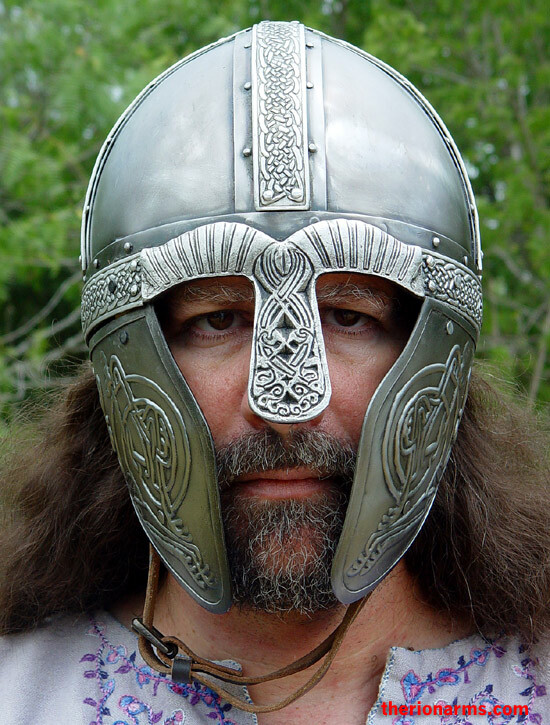 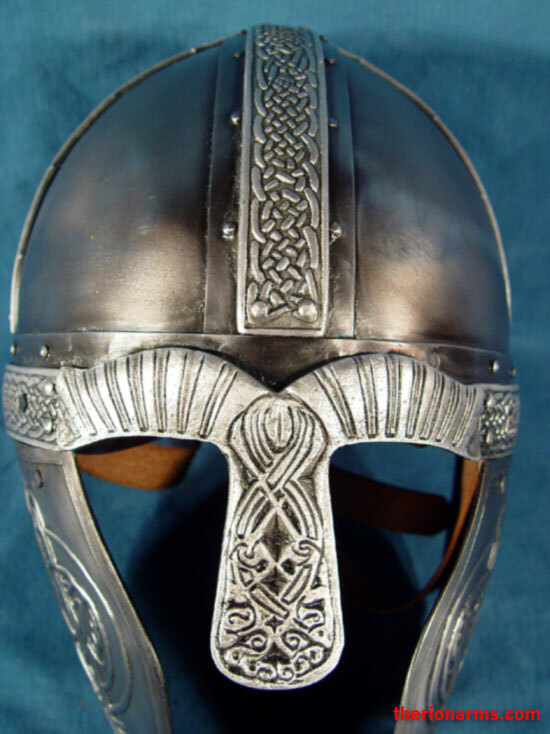 Dress wear for the Dark Ages - a gorgeous spangenhelm embossed with Celtic knotwork. 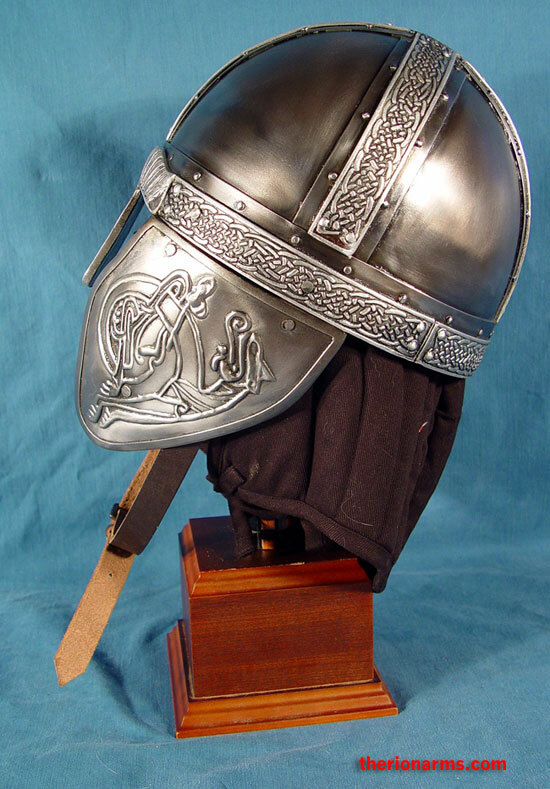 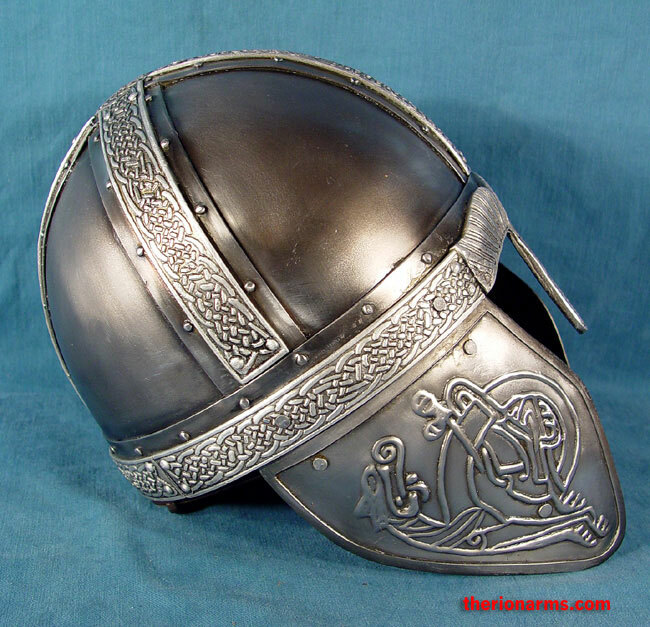 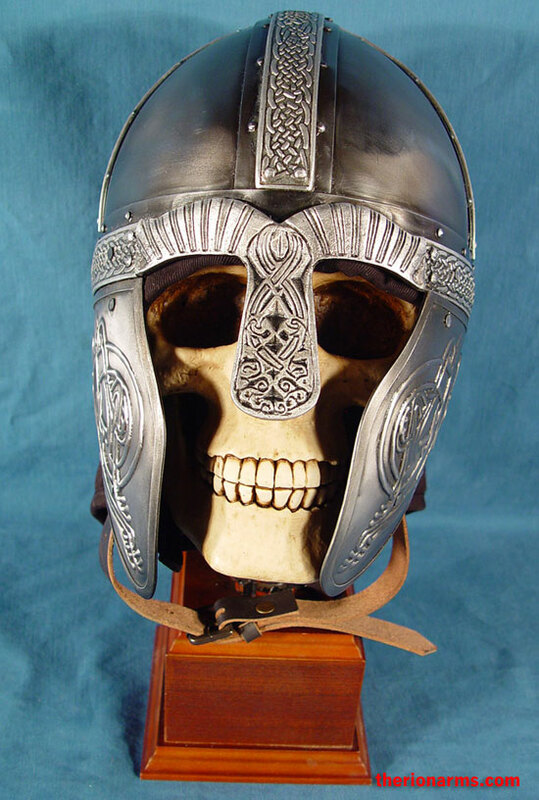 Light-weight (3 lb 12 oz) and comfortable helmet made from 19 gauge steel with an antiqued finish, hinged cheekplates, adjustable leather liner, and leather chin strap. 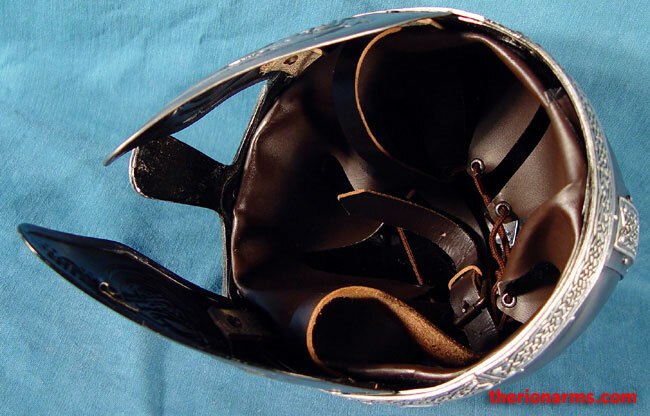 Interior circumference is 24 1/4", weight is 3 lb 12.0 oz.